I'm In A Boxed Anthology!! In the late seventeenth century, a zealously protective father feared his daughter’s betrothed would betray her. A gypsy attempted to hex the girl with this spell: All those who betray you will suffer. Only true love can break the curse. The child was holding a doll her father had fashioned out of some mysterious bone. 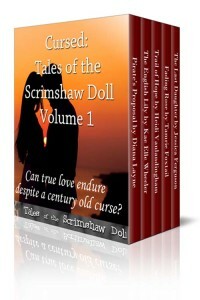 As luck would have it, the curse was buried within the doll and carried on through the centuries. Our first installment picks up with the young woman’s daughter, who inherited the doll. These stories, in various genres, were published with The Wild Rose Press as individual releases but have now been combined in two boxed sets, each containing five stories. 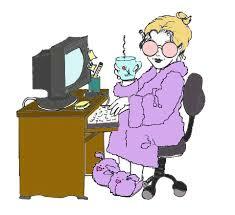 I’m blogging today on the Tales of the Scrimshaw Blog. Come by and join me! Be sure to leave a comment! I’d love to hear from you. What is obsession? 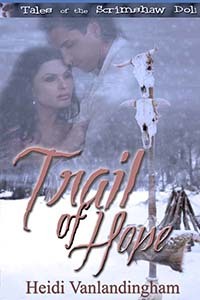 In my novella, Trail of Hope, my heroine Sophia Deveraux is stalked and traumatized by an obsessed soldier. Obsession defined is a person’s inability to stop thinking about (or acting out on) a particular feeling, topic, or emotion without a high amount of anxiety. In my story, Major Todd’s behavior escalates from thinking about her to killing her family and finally forcing her on the deadly Trail of Tears. An obsessive personality, unfortunately, isn’t something that can be handled or fixed without professional help. According to the National Institutes of Health, approximately About 2.2 million American adults aged 18 and older suffer from obsessive-compulsive disorder in any given year. How much do you know about this mental disorder? Do you know anyone who suffers from obsessive tendencies?